The CSIs investigate when a fire chief – a friend of Mac’s – is killed in a blaze that used the same technique as a recently paroled arsonist. The CSIs rush to stop serial arsonist Leonard Brooks after he begins using fire against people from his dark past. 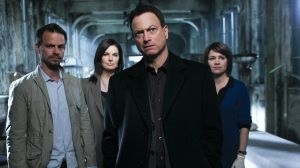 The CSIs race to San Francisco in search of a 16-year-old girl who may already be dead, and the case hits home for Jo. The CSIs race to catch a shooter when Lindsay is injured during the attempted murder of a political candidate, and the events in the aftermath lead to a child’s death. Mac investigates a 20-year-old case involving a missing boy when the prime suspect is found murdered on the anniversary of the boy’s disappearance. Meanwhile, Flack’s day off helps him deal with some lingering family issues. When two little girls are stuck waiting for their mom at the NYBPD bullpen, Adam regales them with a tale of intrigue. After draining a lake to find a murder weapon, the CSIs discover a fresh mystery: the body of a woman in a ballgown -- perhaps she's a princess? When a psychiatrist’s patients are being systematically murdered, the CSIs are forced to play along in a game of CLUE in order to catch the killer. 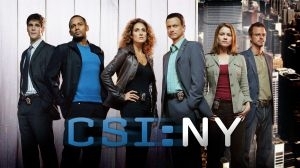 The CSI team investigates the murder of Luke, and finds his death linked to the sale of performance enhancement drugs; Lindsay returns home to Montana, to witness the execution of Daniel Katums. Detective Lovato's past as an undercover officer tangles up with her present duty when one of the gang members she ingratiated herself in and developed feelings for turns up tortured and killed. When a young pizza maker is carjacked, the CSI's must determine what the perpetrators were really after. Mac and the team partner with D.B. Russell to outsmart Christine’s kidnappers before they run out of time to save her life. Part 2 of crossover following CSI 13x13 'In Vino Veritas'. On Valentine's Day, Mac and the team tackle three twisted tales of love gone wrong. Unrest erupts in a community where an unarmed man was shot by police which means the CSI team needs to work as fast as possible to solve the case.